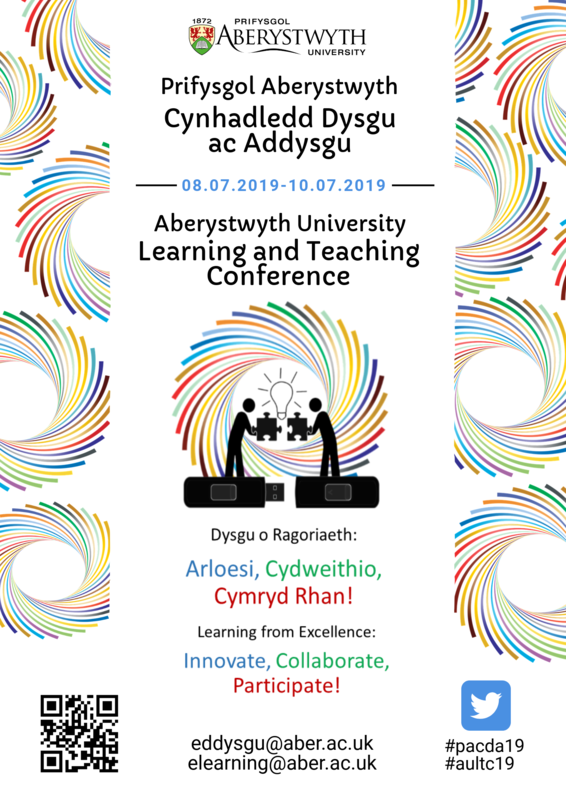 We are now inviting proposals for the 7th Annual Learning and Teaching Conference, Monday 8th July – Wednesday 10th July 2019. Submit and view the call for proposals here. Staff, postgraduate teaching assistants, and students are welcome to propose sessions on any topic relating to learning and teaching, especially those that focus on the incorporation and use of technology. Even if your suggestion doesn’t fit a particular strand, other topics are welcome. We seek to encourage presenters to consider using alternative formats that reflect and suit the content of their sessions. As such, we are not specifying a standardised presentation format. Please complete this form no later than 10th May 2019. If you have any questions, please contact the E-learning Group at elearning@aber.ac.uk or phone us on extension 2472. This entry was posted in Conference by James Woolley [jbw]. Bookmark the permalink.